This blog has touched on many important issues concerning kidney disease. Yet this part - in particular - is one of the most important. Why? Because by changing your lifestyle, you can change your life. By doing some of the things listed, not only are you going to improve your kidney health, but you are also going to improve your overall health. Before undergoing any major lifestyle changes, first talk with your doctor and other health care providers. Keep in mind the changes listed below should only be used as general guidelines, as your situation may be different..
We were put on this earth to move; our bodies were built for motion, not for remaining sedentary. There are many exercise books out there with all sorts of unique regimens. There are also many types of exercise machines, from stair climbers to rowing machines to abdominal machines promising to give you that six-pack look. All of this equipment is great, but the key is simply to find some way to move every day. At the heart of all good exercise programs is purposeful movement. Walking every day for at least twenty to thirty minutes will benefit you. For optimal bone and muscle health, I advocate muscle training with light weights in addition to some type of aerobic exercise. If this is impossible, then just do whatever kind of purposeful movement you can each day. With movement and proper dietary changes - comes weight loss. If you recall, we talked about obesity and the harmful effect that excess weight has on kidney function. Even a weight loss of five to ten pounds can make a big difference, not only in lowering blood pressure but also in helping your kidney function. That's five or ten pounds your body no longer has to carry around, and less work for your kidneys, as well. Stationary Bike. This is an excellent, minimal-impact exercise with great aerobic benefits. 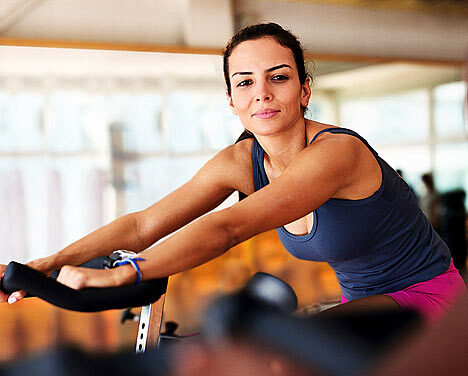 The bicycle is commonly used by rehabilitation specialists and physical therapists in most centers. You should start slow and gradually work up with each session. If you are able to use a regular bicycle, the fresh air and vitamin D you will obtain from the sun provides an added benefit. One reason many people stop using the stationary bike indoors is because they get bored. Listen to some music or work out with someone else while you exercise to help alleviate the boredom. Swimming or Aqua Therapy. Swimming is one of the best exercises you can do, as it works the entire body. Aqua therapy refers to specialized programs you can do in the water that focus on different parts of the body. Examples of this include walking or running in the water. You get the benefits of water resistance and your body doesn't receive the pounding it would have if you were running on land. I have had older patients in my practice who have benefited greatly from aqua therapy. You should first be evaluated by a licensed therapist or trainer to have the exercise program tailored to your individual needs. Weight Training. This should complement any type of aerobic exercise. As we get older, the building of muscle can not only help us burn calories more efficiently, it can also maintain and even improve our bone health. This is especially important in kidney disease. With weightlifting, the goal is not to get buff, but to get toned. Higher repetitions and lower poundage will improve strength and endurance. Before proceeding with any lifting program, you should obtain clearance from your doctor and your weightlifting program should be supervised by a qualified professional. Any exercise program, even a walking program, can be difficult when you are just starting out. Begin slowly, and gradually build up the intensity each day. If your lifestyle has been fairly sedentary, consult with a qualified professional before starting your training. 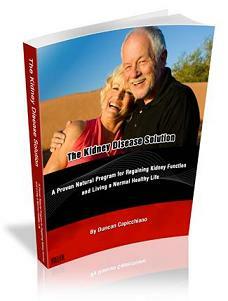 To find out more, you can check out Can Kidney Disease Be Reversed.